Renters’ rights: What’s the law? Ceiling and underfloor insulation must be installed in rental properties by July 2019. The insulation required depends on the home, location and whether it has existing insulation. There are exceptions, so check our insulation section for more detail. The level and condition of insulation, even if there is none, must be stated in any tenancy agreement signed after July 1, 2016. Landlords must provide a form of heating in living areas. However, the law doesn’t state what type must be supplied. Instead, it puts the responsibility on to local councils to provide lists of approved sources. Unfortunately, most don’t. 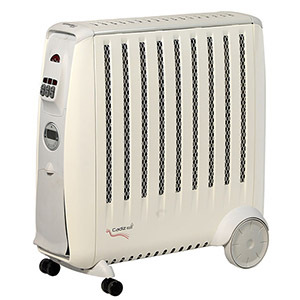 In practice, a cheap electric heater may be considered adequate. If there is fixed heating in your rental, your landlord is responsible for maintaining it. For example, if you have a fireplace, the landlord must ensure regular maintenance and checks are carried out. Your landlord must ensure there are working smoke alarms in the house. They must be within three metres of each bedroom door, or in every room where a person sleeps. For more information, see our section on smoke alarms. Tenants are responsible for changing batteries in smoke alarms and letting the landlord know if a smoke alarm is broken. Every room must have windows or another way of letting in light and air. If there are wooden floors, there must be adequate space and ventilation underneath to prevent damp and decay. There must be drainage to remove storm water, surface water and ground water. There must be gutters and drains to remove roof water. The landlord is responsible for maintaining these. The law states a landlord must provide and maintain rental properties in a reasonable state of repair and cleanliness. Leaks, broken guttering or broken windows and doors can cause moisture issues for homes, so it’s important your landlord stays on top of maintenance. Tenants are responsible for keeping the home reasonably clean and tidy, and not causing or allowing any damage to the property. They must also let the landlord know if repairs are needed. What if my landlord isn’t meeting their obligations? If your landlord isn’t holding up their end of the bargain, you can call Tenancy Services for advice – 0800 836 262 (0800 Tenancy). If you’re a Consumer NZ member, our expert advisers can inform you of your rights and what you can do. Read about what to do if your landlord won’t make a repair. The Healthy Homes Guarantee Act 2017 provides for regulations to be made that strengthen requirements for landlords to provide warm, dry homes for renters. Regulations are currently being developed and are expected to come into force in July 2019. As a result of our investigation into the rental market in April 2018, we’re recommending other law changes to provide better protection for tenants.